Kinstellar is a leading independent law firm in Emerging Europe, Turkey and Central Asia, with 10 offices located in Almaty, Belgrade, Bratislava, Bucharest, Budapest, Istanbul, Kyiv, Prague, Sofia and Tashkent. We rank among the leading law firms in each of our jurisdictions. Our representation of major international and domestic market players active across diverse industries gives us insight into the commercial drivers and challenges facing numerous sectors, both locally and across the region. The firm’s clients include leading international and regional corporates, banks and other financial institutions, state bodies and state companies, multilateral institutions, and international law firms with clients that require top-quality legal counsel in Kinstellar jurisdictions. Operating as a single fully-integrated firm, Kinstellar is particularly well suited to servicing complex transactions and advisory requirements spanning several jurisdictions. Kinstellar’s Kyiv office was launched in 2016 with a team of highly-skilled legal professionals possessing long-term experience of handling major transactions for leading international and domestic clients in Ukraine across a broad spectrum of business sectors. Kinstellar Kyiv is a fully-integrated Kinstellar office, fully aligned and committed to the same quality and consistent service that one may expect from Kinstellar. Today, Kinstellar Kyiv operates as an internationally oriented full-service practice focused on Antitrust/Competition, Banking & Finance, Capital Markets, Corporate/M&A, CRSI (Compliance, Risk & Sensitive Investigations), Dispute Resolution, Energy and Real Estate. The expertise of Kinstellar lawyers also enables the firm to make a shift towards the industry focus, offering complex advisory to agriculture, aviation, FMCG, energy/oil&gas, industrials, infrastructure, real estate, pharmaceutical and telecommunications sector clients. Kinstellar Kyiv has one of the most diversified Dispute Resolution practices on the market with an impressive track record in handling landmark disputes for Ukrainian and foreign clients. Our experienced team handles all kinds of cross-border and domestic litigation and arbitration. 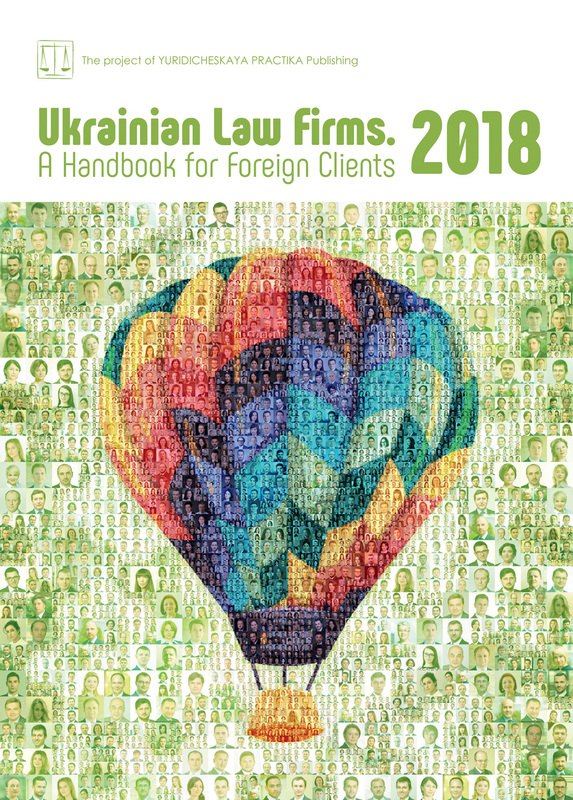 Kinstellar Kyiv has been top-ranked in its core practice areas according to major international legal directories, including Chambers & Partners, IFLR1000, Legal 500, and Best Lawyers International. For the third time in a row, Kinstellar was named Law Firm of the Year for Central Europe at the Lawyer Awards 2018. Sophisticated and multi-layered corporate structures have become an inherent part of the business environment in Ukraine. One of the ultimate purposes of such structures is to bring more clarity to corporate governance and to improve tax planning. In practice, however, a properly designed corporate structure may bring shareholders much more than just tax and corporate governance benefits. Together with easy mobility of assets and funds, a creditor may find himself/herself in a very difficult situation when it comes to the recovery of debts and damages from such a business. The transfer of illicit proceeds received as a result of white-collar crimes and corruption might be another reason for employing a long “chain” of companies from different offshore jurisdictions. This involves a criminal angle, which may provide more effective instruments at the asset tracing and asset freezing stages of a dispute. This article focuses on commercial asset tracing, and only touches briefly on a subsequent stage of cross-border disputes, i.e., the freezing of assets. The process of asset tracing may require legal assistance and investigative actions (e.g., research of registers and databases and approaching investigators) to determine the location of assets and funds. Since 2016, when the Panama Papers were published, a huge database with corporate documents regarding offshore companies and their beneficial owners became available to the general public. This, in fact, is a very helpful and freely available resource, which can be used at any stage of litigation. The UK recently ordered its overseas territories (such as the Cayman Islands and British Virgin Islands) to make secretive company ownership information public by the end of 2020. Considering that the BVI used to be a very popular jurisdiction among large businesses, this would considerably simplify investigative efforts for counterparties and reduce costs associated with any dispute. At the same time, when assets are hidden behind sophisticated corporate structures, open resources offer little assistance. In such cases, it is advisable to use private investigators. Companies providing investigative services consist of lawyers, investigative and financial journalists, former members of intelligence services and law-enforcement bodies, and even political figures and their advisors. Most importantly, they have a network of human resources in different jurisdictions. However, documents and information provided by investigators might be inadmissible in court or arbitration proceedings; in such cases they could be treated as an additional, rather than a primary, source of information. Court disclosure orders, which direct defendants to provide information and documents about their assets by a certain date and of a certain scope, are one of the primary sources for obtaining information. A court may grant a disclosure order at various stages of proceedings, including post-judgment. For instance, the Norwich Pharmacal order, which is a special disclosure order in the UK directed against third parties, is typically used to identify a wrongdoer and nature of wrongdoing and to then trace assets. It may extend, among others, to banks, registered agents, other corporate services providers, and to entities that form parts of sophisticated corporate structures. A Norwich Pharmacal order obliges a defendant to make a full and frank disclosure and to assist the claimant in obtaining information to the best of its ability. It is available in case of claims arising from contracts and torts and may be especially useful when the claimant lacks certain evidence, which it believes to be in the possession of a third party and which can be crucial at the start of cross-border litigation. A Norwich Pharmacal order can be equally helpful at the enforcement stage if it appears that the defendant has insufficient assets or does not have any assets. To collect the necessary pieces of the puzzle from different jurisdictions and reconstruct the shareholding structure leading from the defendant directly to an asset, the client will have to invest a considerable amount of time and money as the process requires legal counsel, local lawyers in each jurisdiction and private investigators. From our experience, such orders are most frequently sought against corporate secretaries and banks. The asset tracing exercise, and most importantly, the analysis of its outcome, is a very important “brick” in the development of a litigation strategy. The location of assets may, and in fact very often does, influence the decision regarding where to commence litigation proceedings. Multi-jurisdictional corporate structures usually provide several options where litigation can be initiated. The BVI and Cyprus (which are both frequently used for company incorporation) and other common law jurisdictions are the most popular venues for CIS businesses. Both jurisdictions have advantages and disadvantages, such as: different extents of predictability and timing for the delivery of final decisions, different available interim measures and, of course, differences in the ability to effectively enforce final decisions or interim relief in jurisdictions where assets are located. According to Cypriot lawyers, just 10% of disputes between CIS parties reach a final court decision, as the majority of disputes are settled or withdrawn due to successful or unsuccessful attempts to receive an injunction on an ex parte basis. In addition, Cypriot courts do not grant freezing injunctions in support of non-EU proceedings (including those from the BVI). In practice, this means that if a Cypriot company (which is a subsidiary of a BVI company) holds real assets, the claimant will generally not be able to freeze the assets immediately. Consequently, in the absence of an injunction, litigation could become unsecured and more risky. If the defendant has a well-established reputable business or other creditors have already frozen the assets, the situation might differ. In contrast to courts in Cyprus, courts in the BVI have strong ties with the English judiciary and, therefore, are regarded as a more favourable forum. Moreover, in cases where it is difficult to establish the jurisdiction of English courts over defendants, an alternative option could be the courts in the BVI. To secure a claim, BVI litigation offers a wide range of instruments such as freezing injunctions, appointments of a receiver, as well as unless orders and disclosure orders. Nevertheless, even the most extensive injunctions could become powerless if the corporate structure involves a trust or a foundation. The main idea behind trusts and foundations lies in the separation of legal ownership to an asset and the beneficial interest derived from that asset. The trustee or foundation council are considered to be legal owners of assets in relations with third parties, while the settlor and beneficiary reasonably expect them to manage and maintain the assets to their benefit. Since formally the asset is not the property of the settlor, claimants are usually unable to enforce their claims against such an estate. Therefore, a properly structured trust or foundation can grant a significant level of protection to the asset or even immunity from enforcement claims against the settlor. A variety of factors should be considered when developing a litigation strategy. In this respect, the location of assets plays an incredibly important role. As a rule, court judgements and interim relief do not have direct legal force in other jurisdictions unless they are enforced. Hence, the possibility of their enforcement across jurisdictions where the underlying assets are located should be carefully considered at the beginning. Similarly, connecting an individual to assets belonging to him/her through complex corporate structures could become difficult. Why should a bank in Switzerland block funds deposited by a Luxembourg company under a BVI court order in a dispute where a Luxembourg company is not a party to the BVI proceedings? To effectively address these issues and end up with money in one’s pocket, it is advisable to have an experienced team of lawyers who are able to assess the prospects of a dispute at the initial stages and give a fair evaluation of the chances of success.